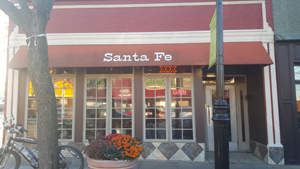 Santa Fe Mexican Restaurant’s Glen Ellyn location has a menu of diverse Mexican favorites, including appetizers, a la carte items, dinners, vegetable dishes, chicken plates, and plenty of drinks. Try a Cincronizada, Chimichanga, Steak A La Mexicana, or Pollo Ranchero to name just a few. There’s also some American sandwiches on the menu if you’re not in mood for Mexican. See our full menu below.